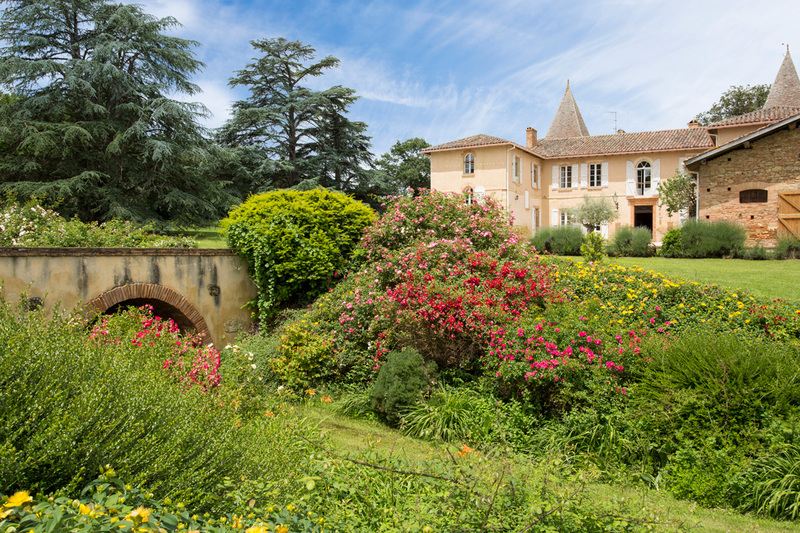 Chateau Noble is a unique jewel in the South of France. 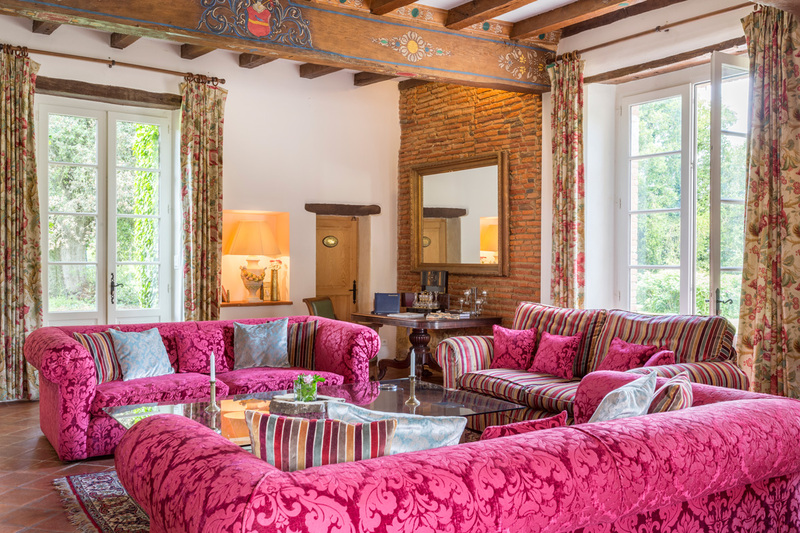 Founded 400 years ago by a Lord, using funds gifted to him for his service in war by King Louis XIII, today its modern-day guardians pay homage to its heritage and offer their passion and respect to its founding families, by preserving their coats of arms, cherishing each past century and generation and ensuring that every guest is made to feel like a king. 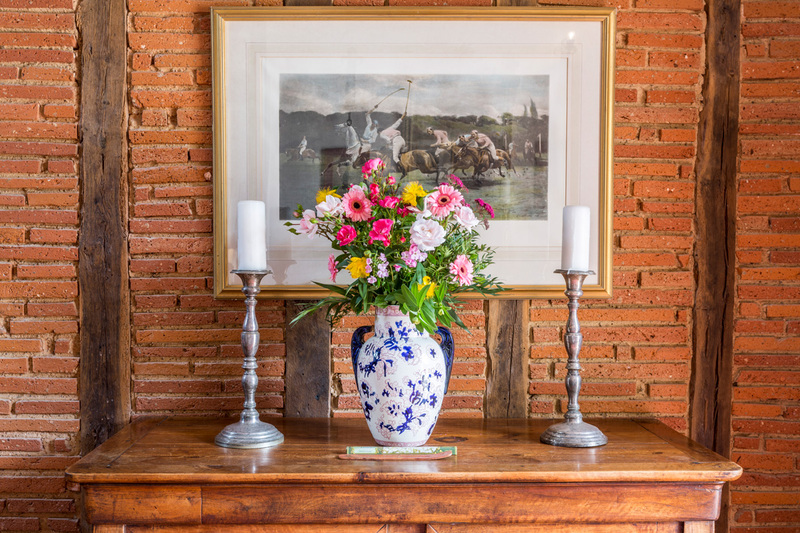 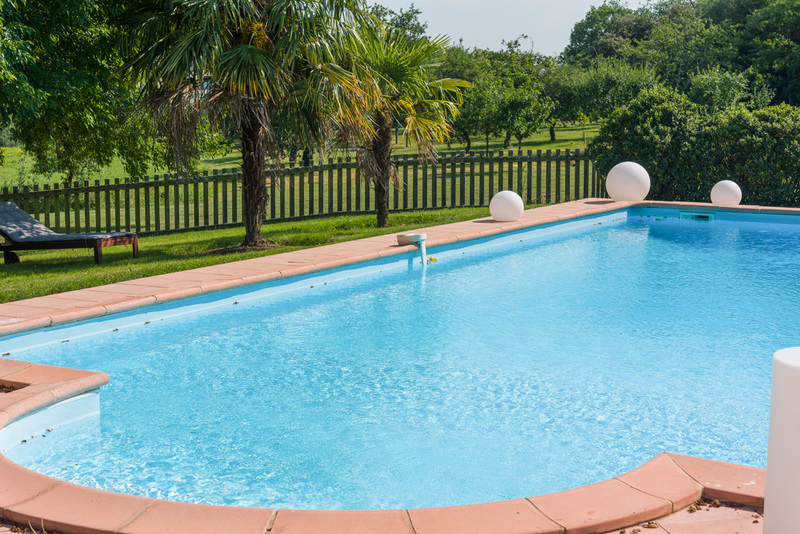 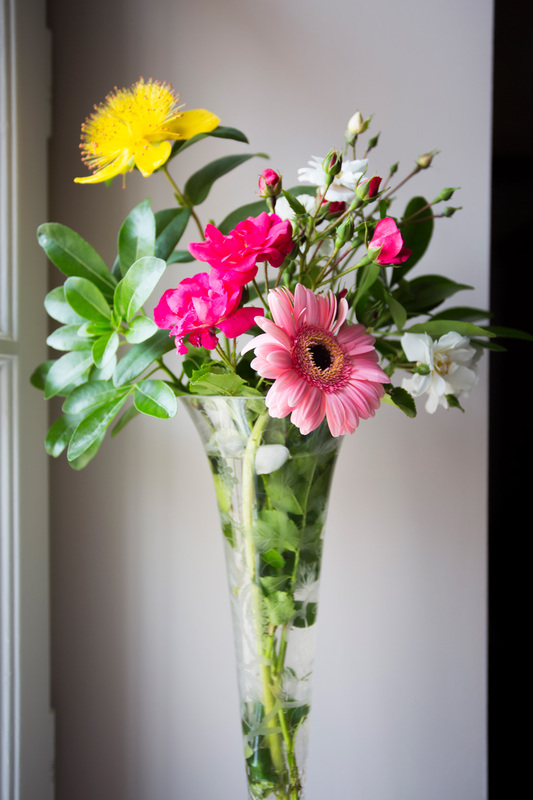 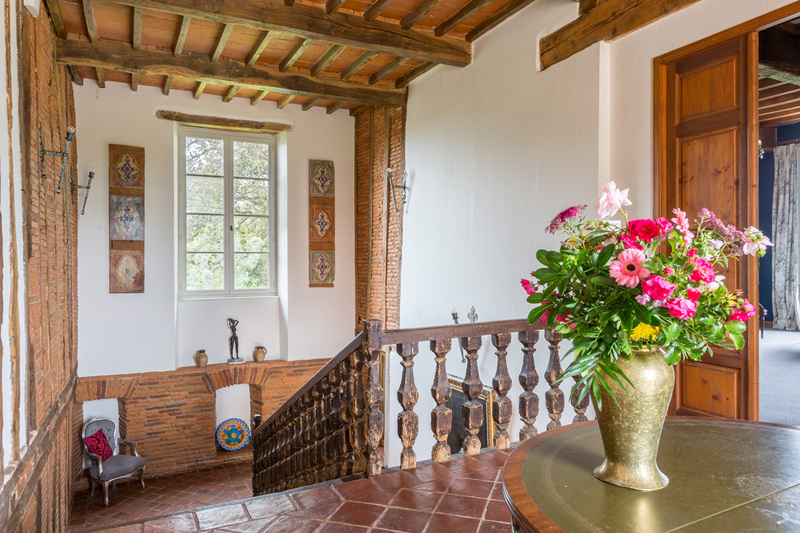 This has always been a noble residence and guests today will be treated with befitting care and attention by its friendly and highly skilled team who are devoted to their guests and their guests’ enjoyment. 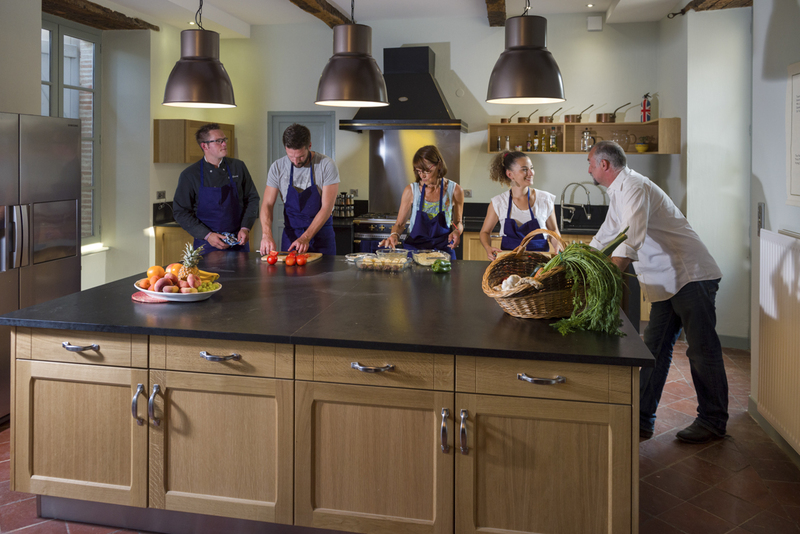 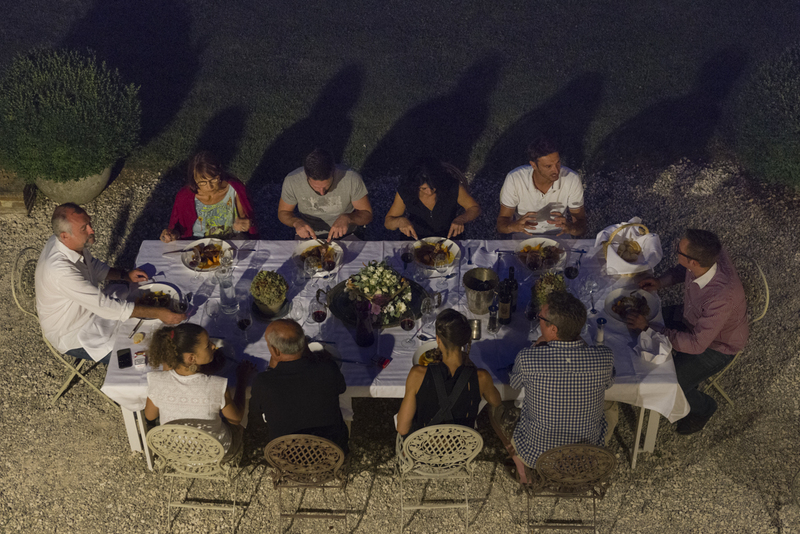 If guests wish, an exceptional chef is on hand for delicious meals, as are a host of extra services such as a charming host-butler, bar-stocking and shopping service, pampering massage and beauty treatments, baby-sitting and much more. 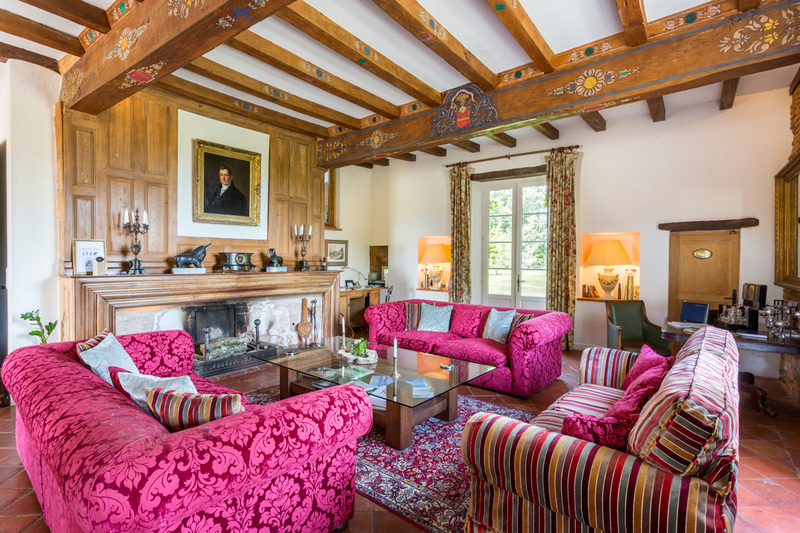 The château has been beautifully restored to a high standard and decorated with classical French and English furniture dating from 700 years ago to today and elements from across the world, old and new. 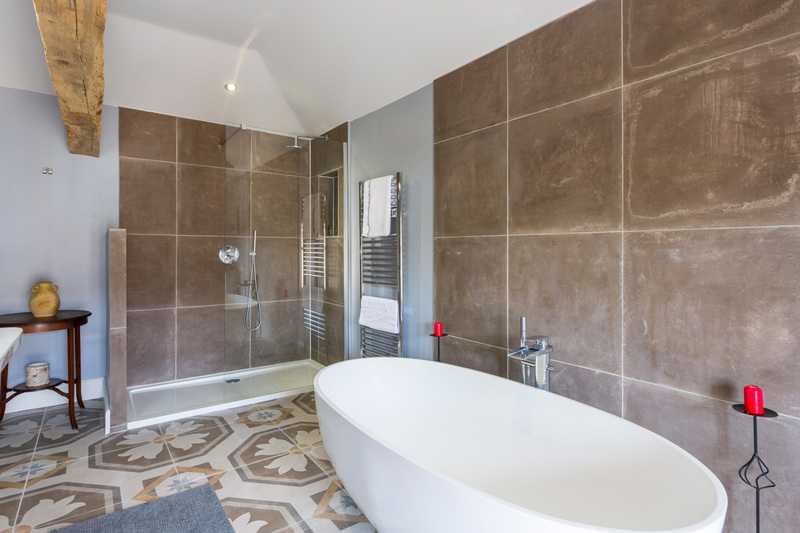 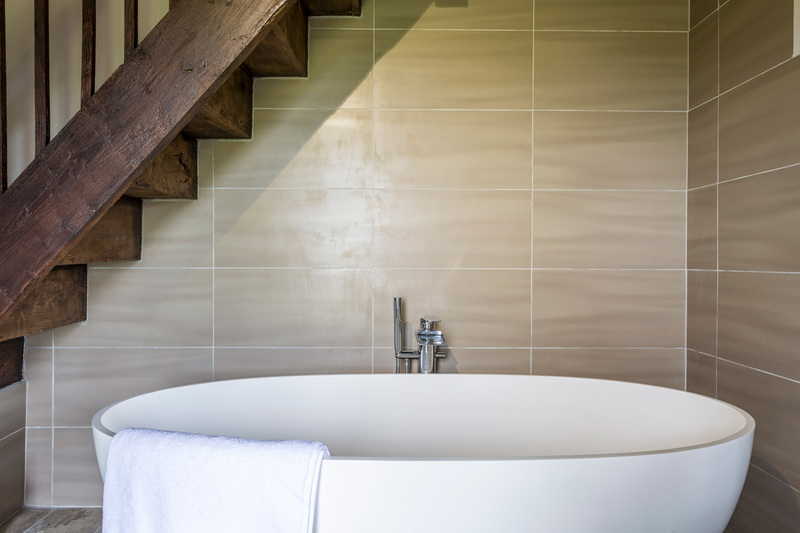 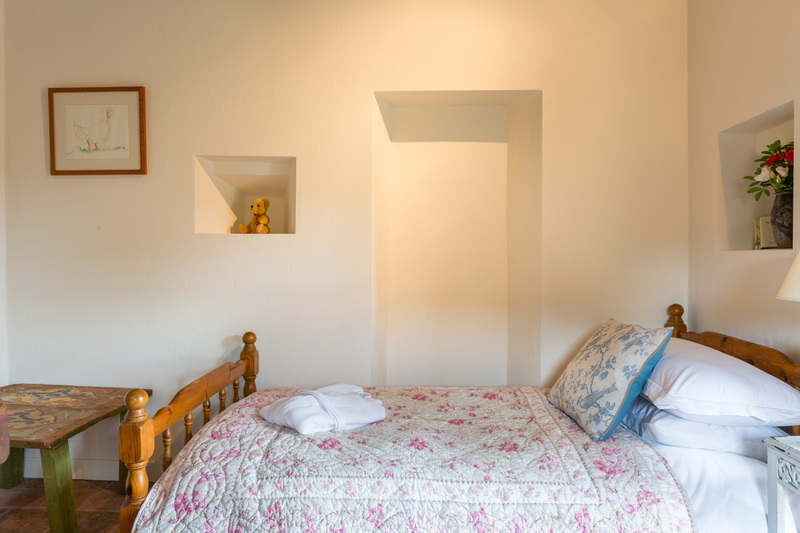 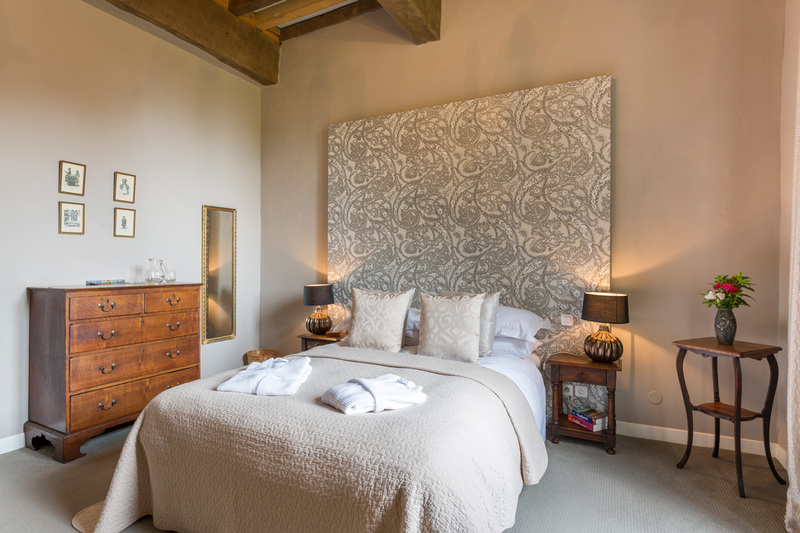 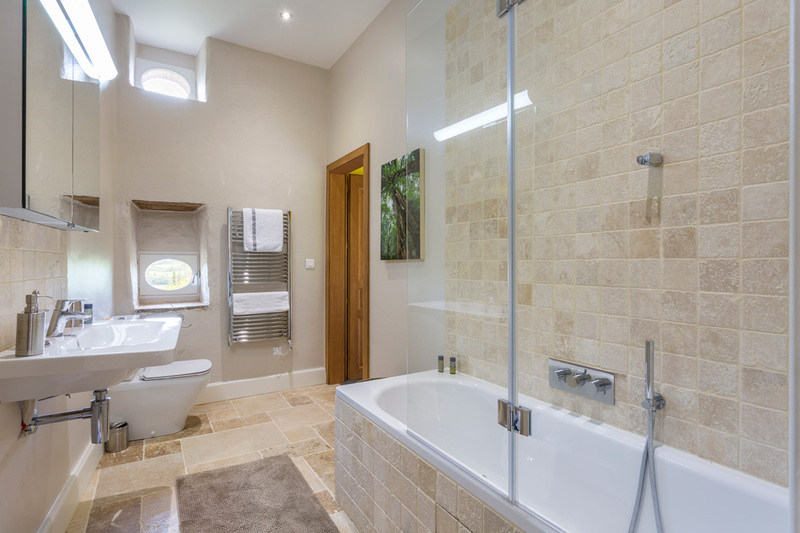 Every well-appointed bedroom has a modern en-suite bathroom and comfortable beds dressed in the finest Egyptian cotton. 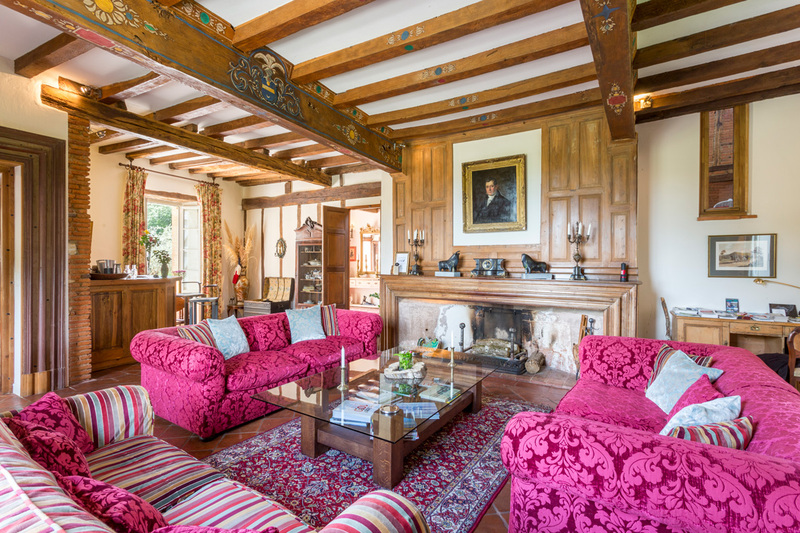 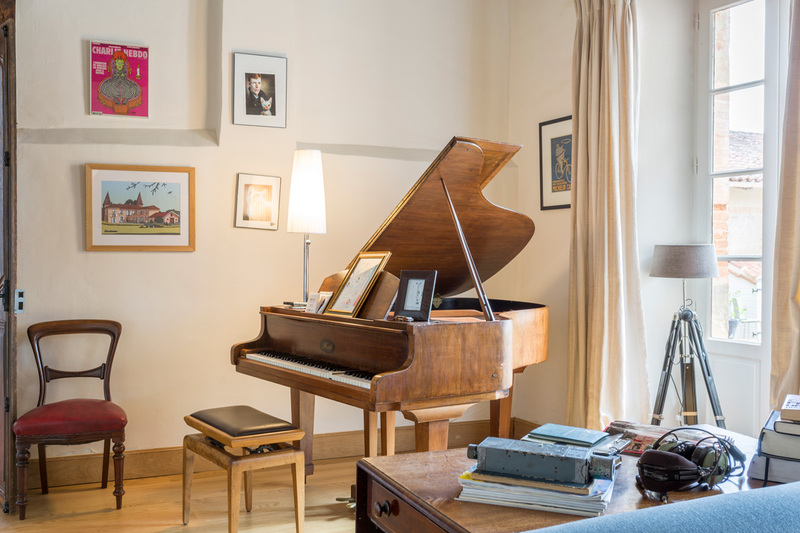 There is also a fabulous, well-equipped kitchen, elegant dining for fourteen both indoors and outdoors, a Grand Salon with ancient blazons, impressive fire places, a music room with perfectly tuned Ibach baby grand piano and a fun, well-stocked games room complete with minstrels’ gallery. 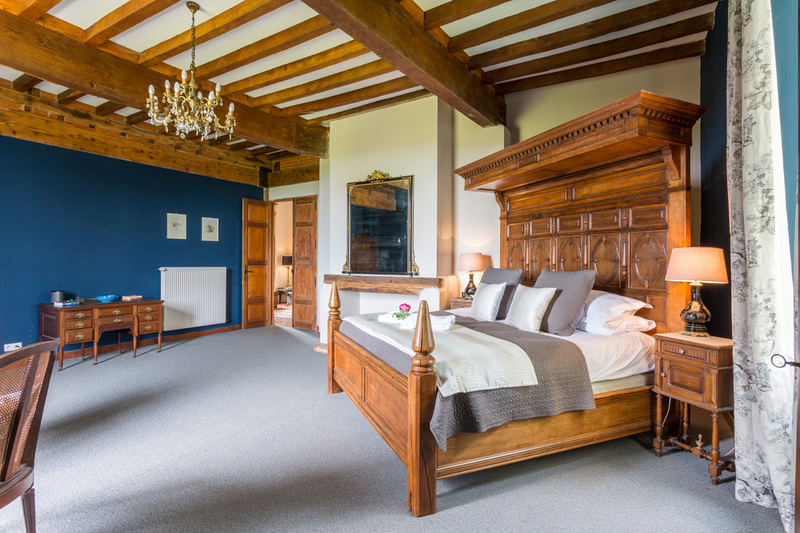 Four-hundred-year-old, one metre thick castle walls keep it fresh in summer and warm in winter and the large array of windows keep it beautifully light, whilst framing glimpses of the original towers and two romantic pigeonniers, as well as the charming gardens, fields and surrounding woods which are perfect for walking and exploring. 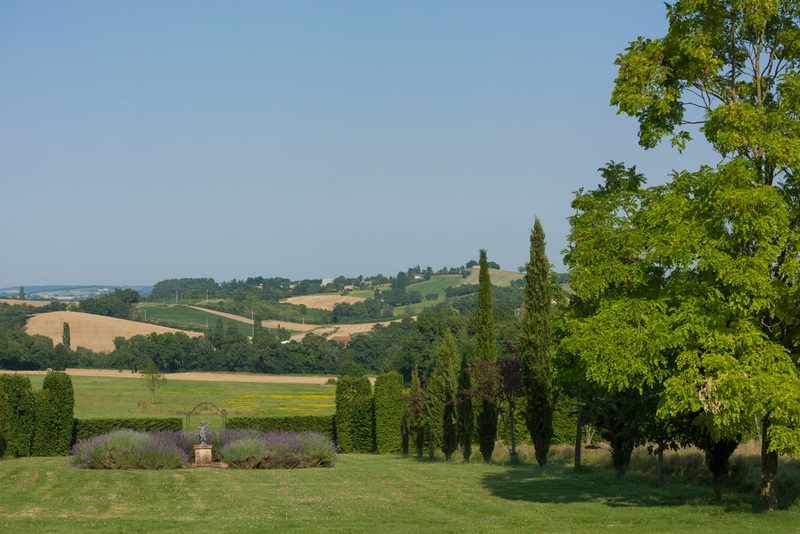 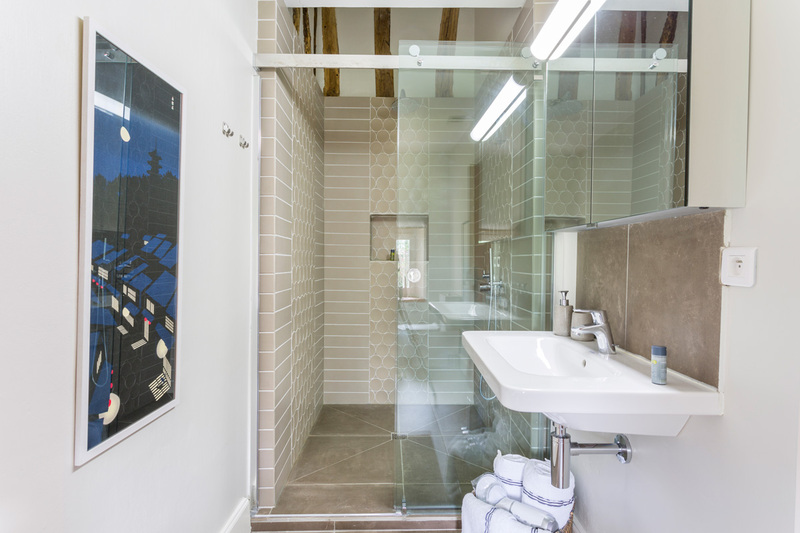 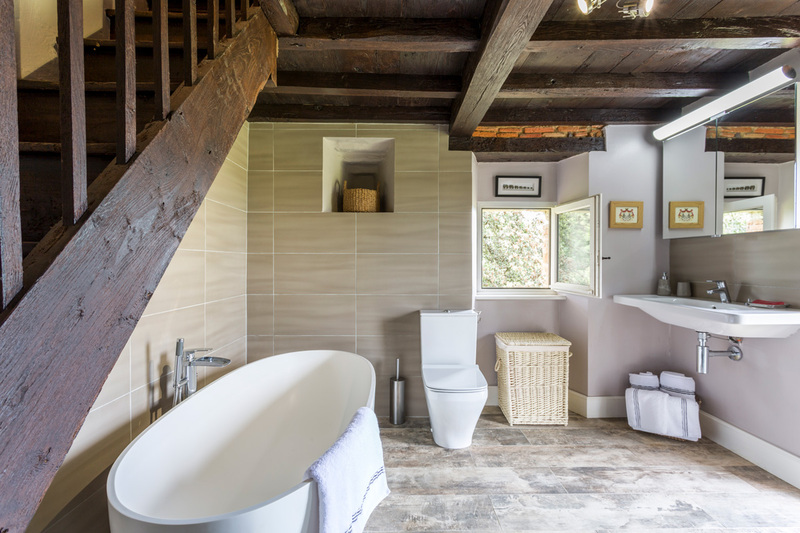 Guests will enjoy stunning views of the rolling hills of the Gers to the Pyrenées and of prairies and woods where wild boar, deer and hare roam free. 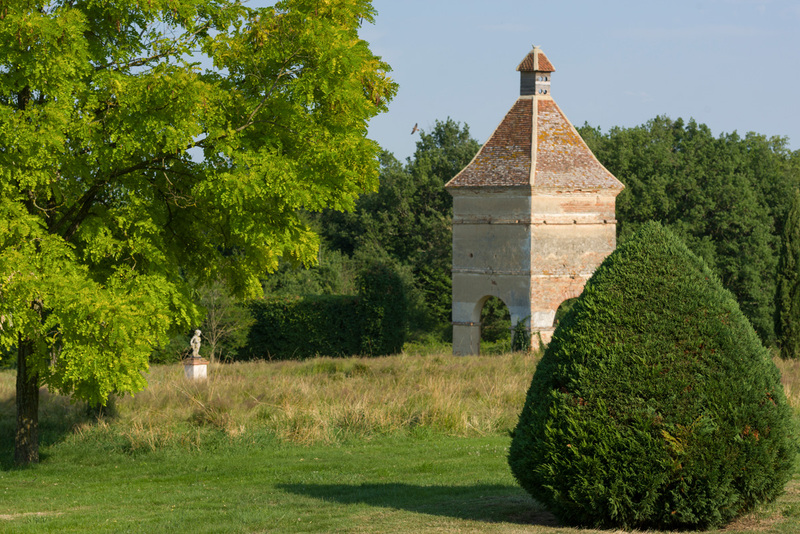 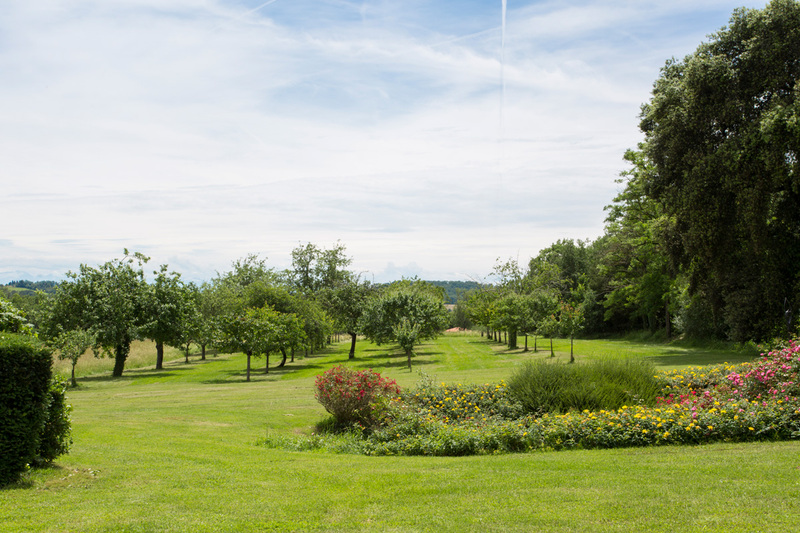 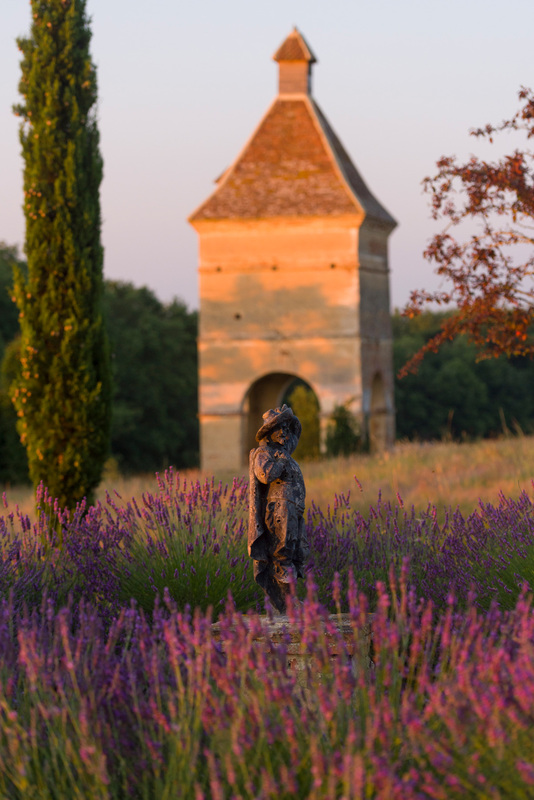 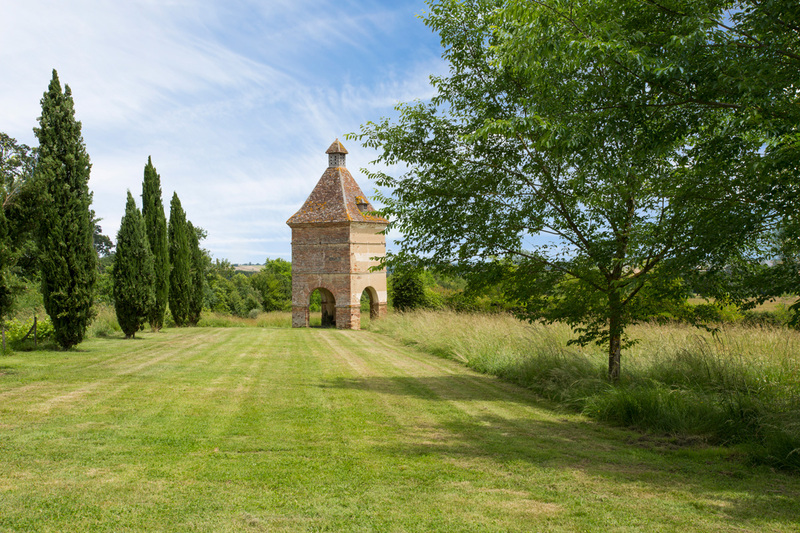 Delightful walks can also be enjoyed on the château grounds, which offer an abundance of delights including the park, potager, vineyard, orchard, wild flowers, Lebanese cedars, duck-pond, ducks and beehives. 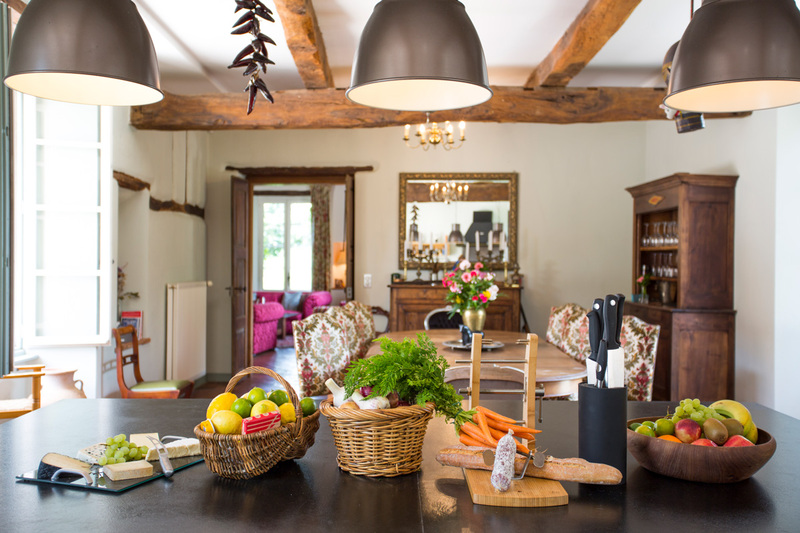 Honey, jam, herbs and fruit are produced at the château or by local friends, whilst Samatan nearby, will provide endless supplies of their world-renowned duck and foie gras. 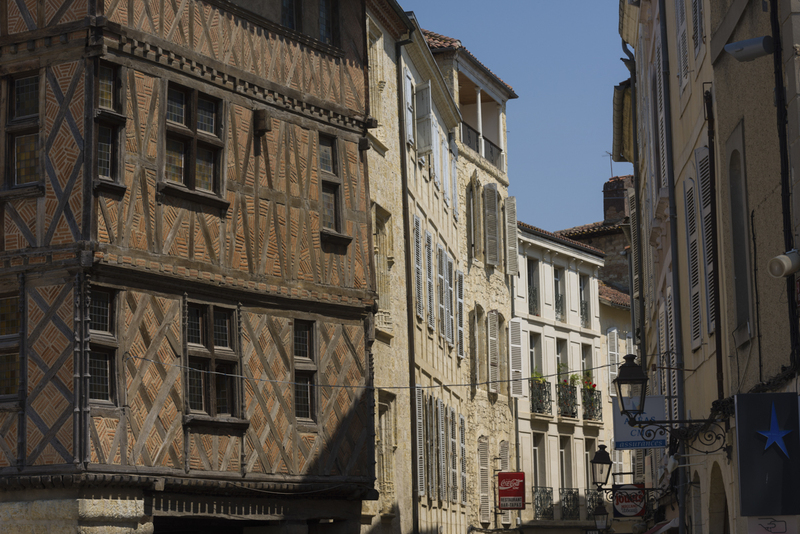 As well as being the duck and foie gras capital of the world, Samatan is also home to one of France’s most famous markets. 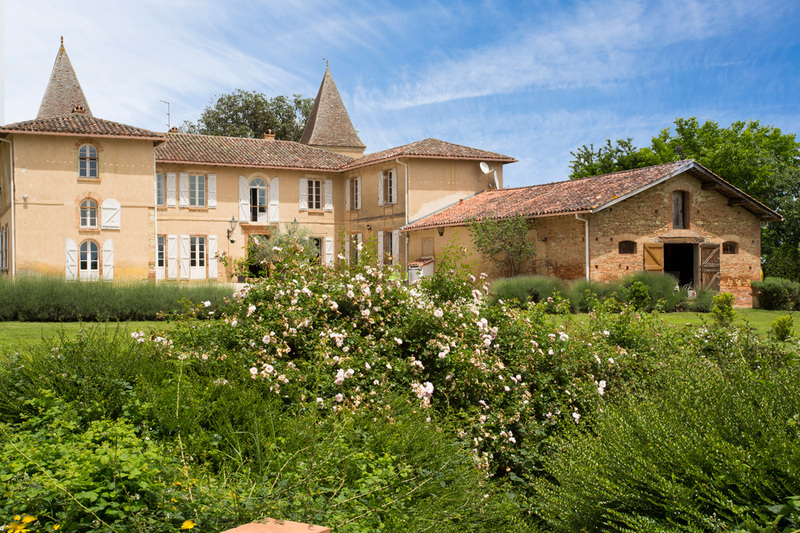 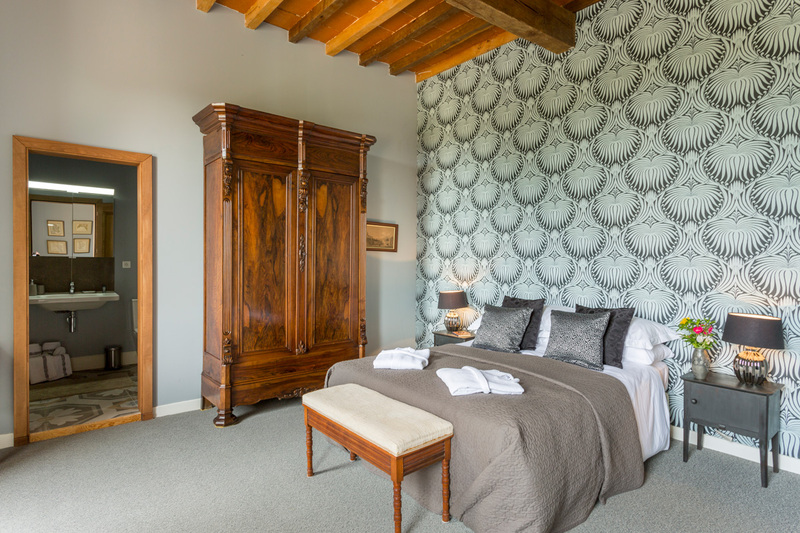 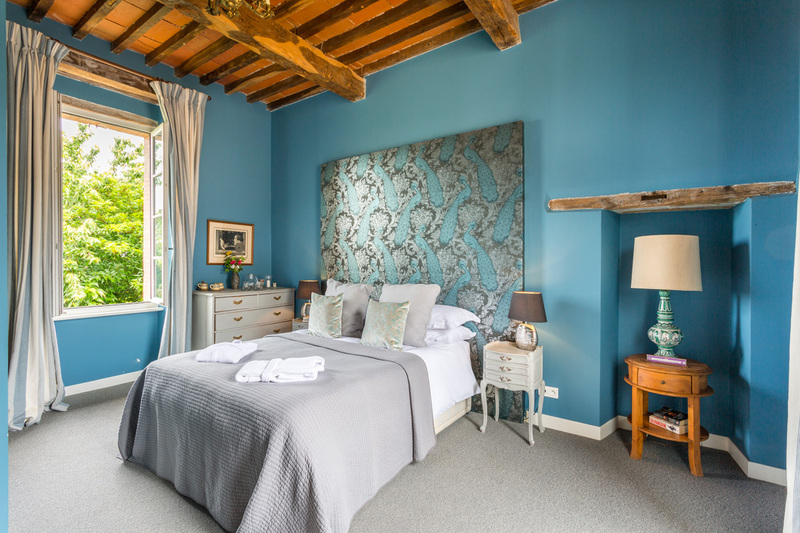 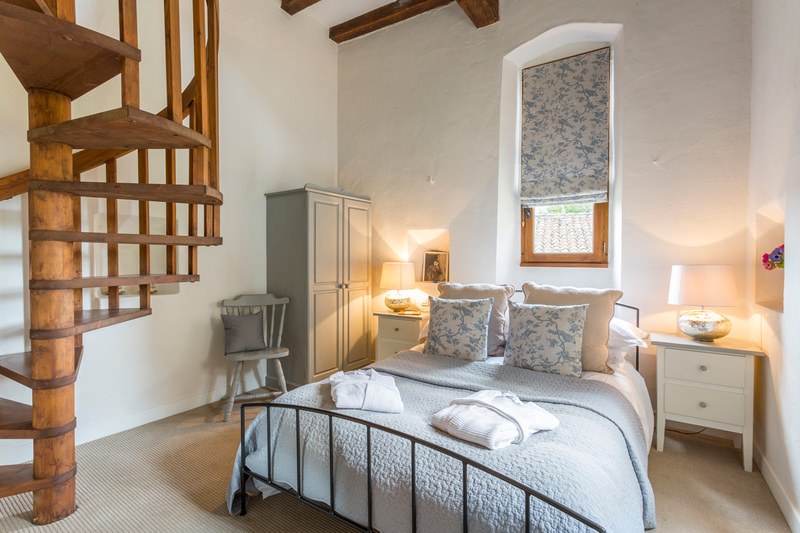 Château Noble provides the perfect, tranquil retreat for relaxing and unwinding, with the option of enjoying top quality food, wine and service and as much or as little to do as desired, whilst staying in a historic residence full of warmth, character and charm. 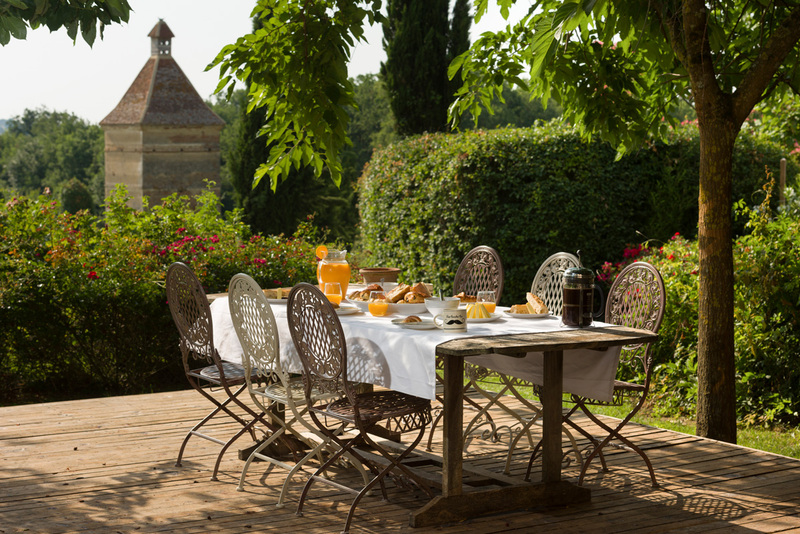 Breakfast, cleaning, welcome drinks and hamper, plus more! 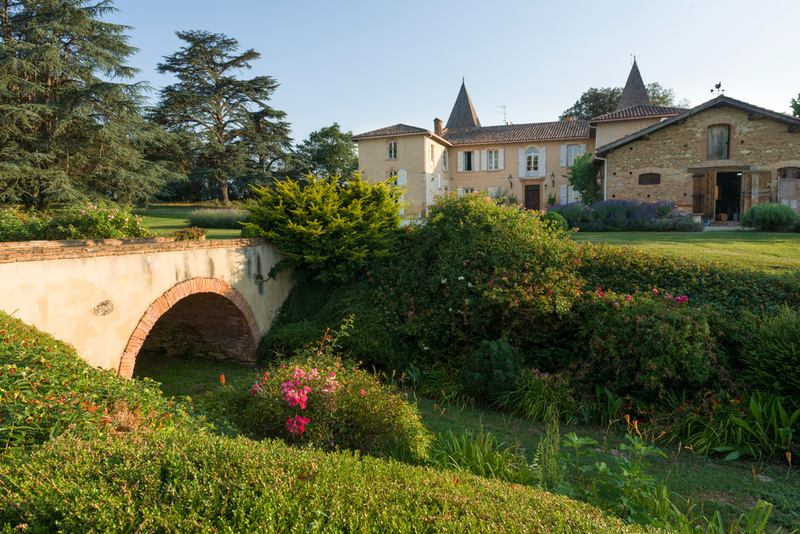 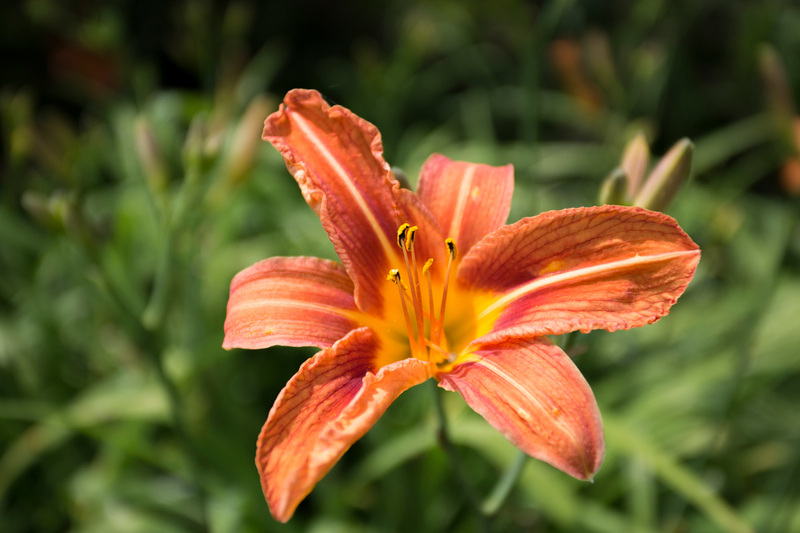 If you are looking for calm, nature and authenticity, Chateau Noble is the place to be. 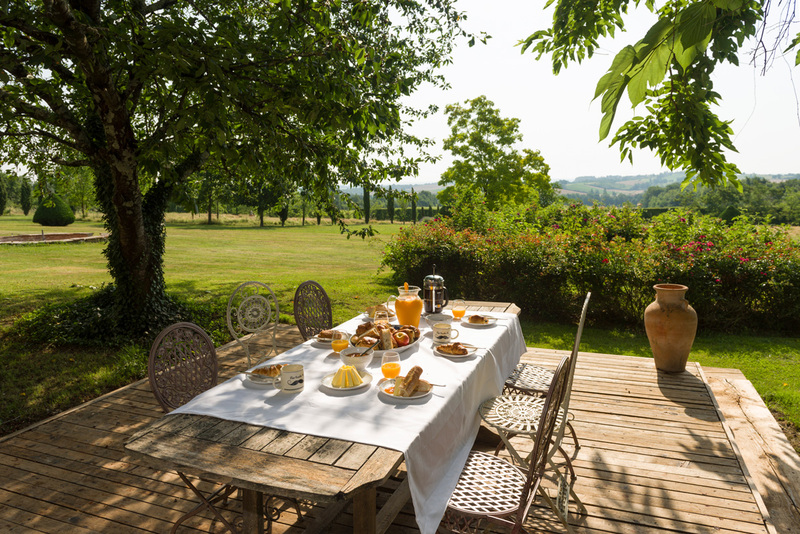 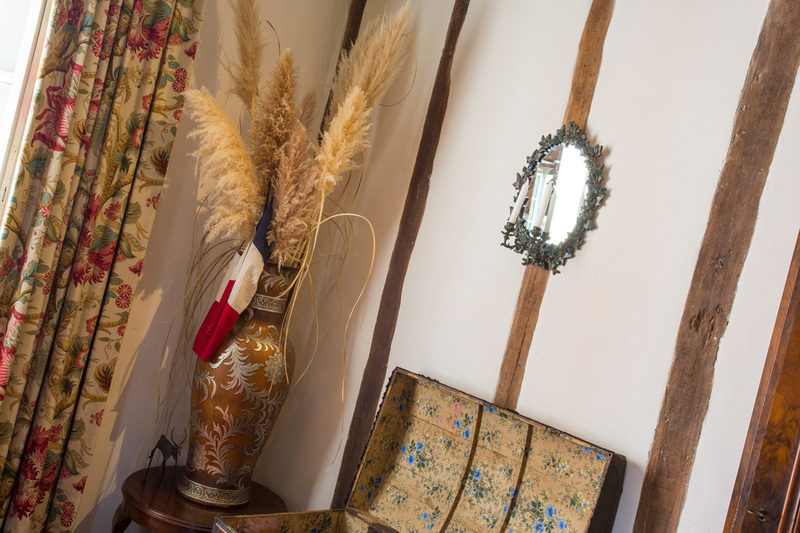 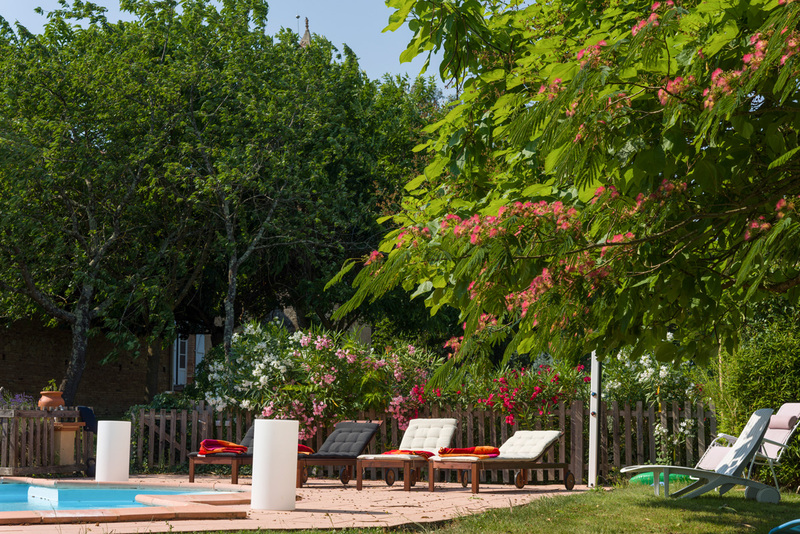 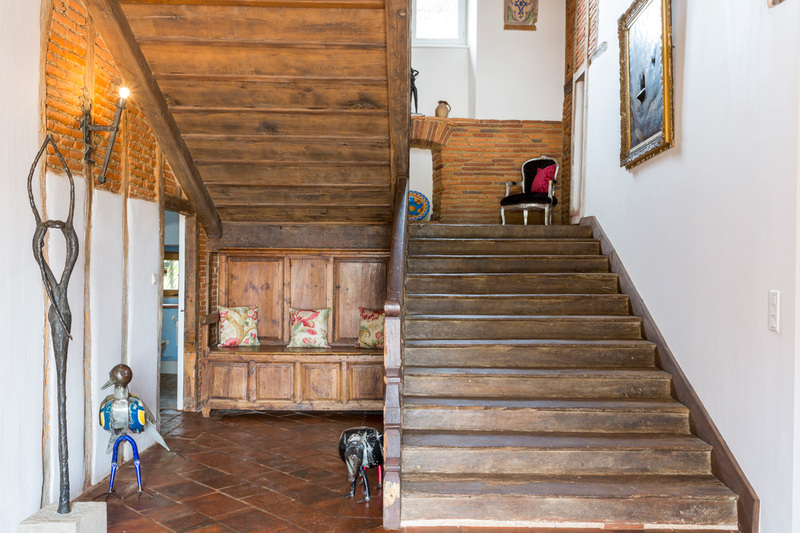 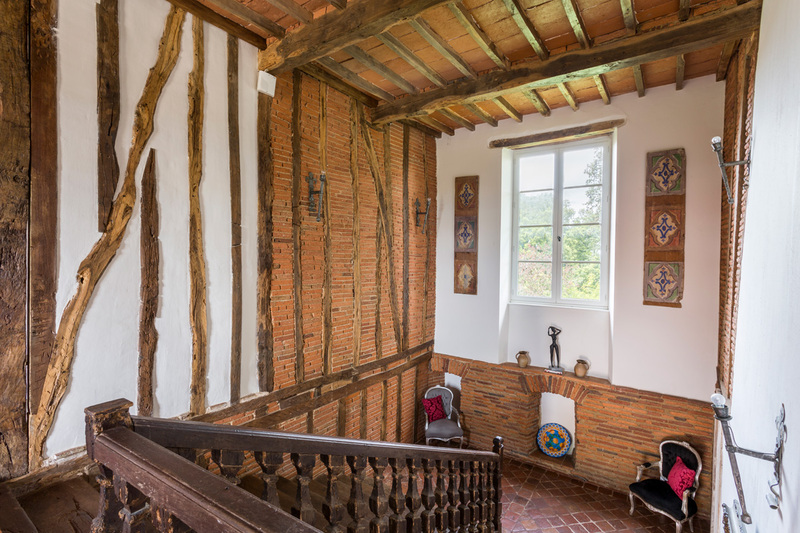 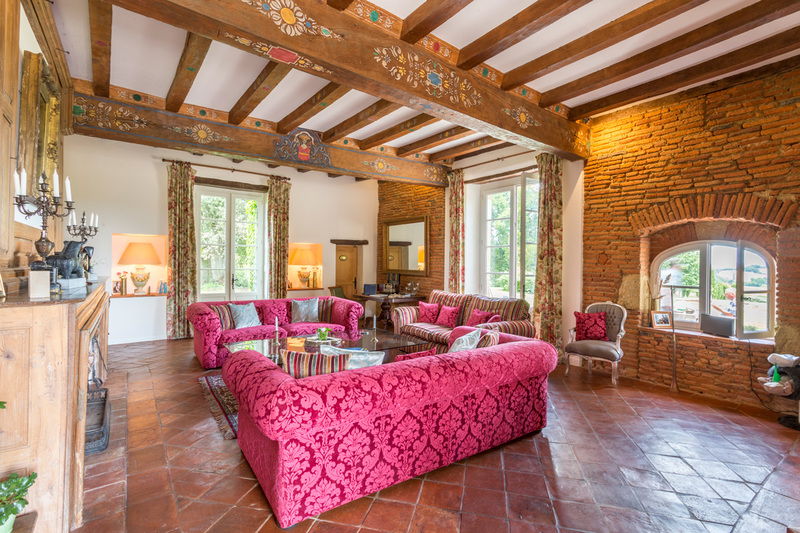 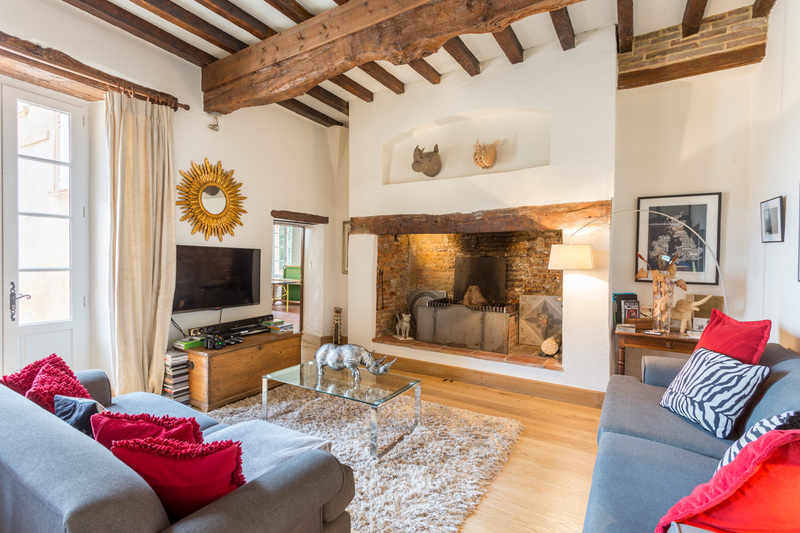 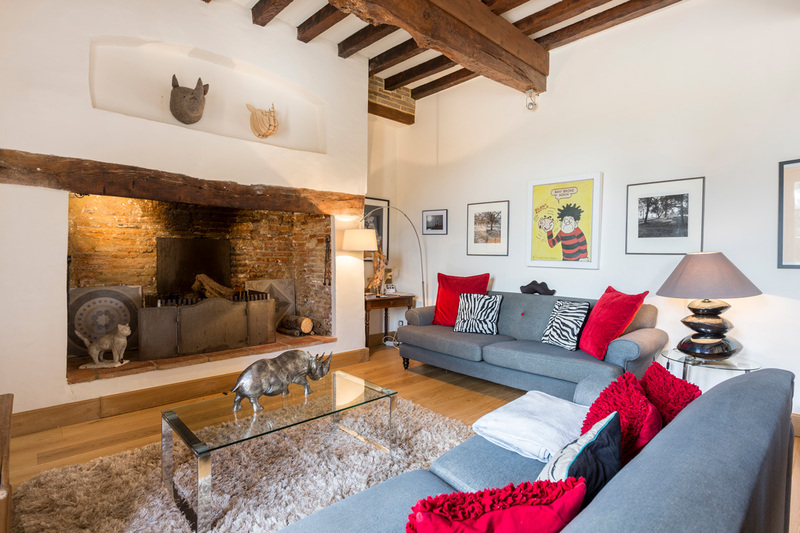 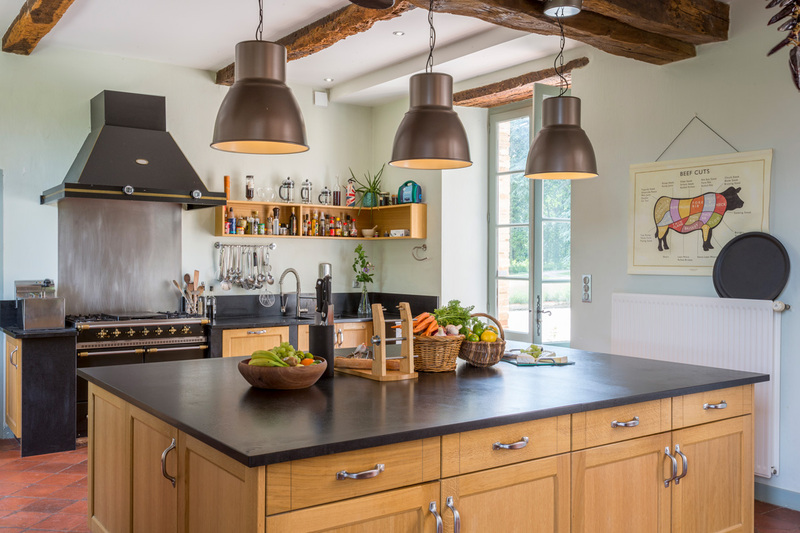 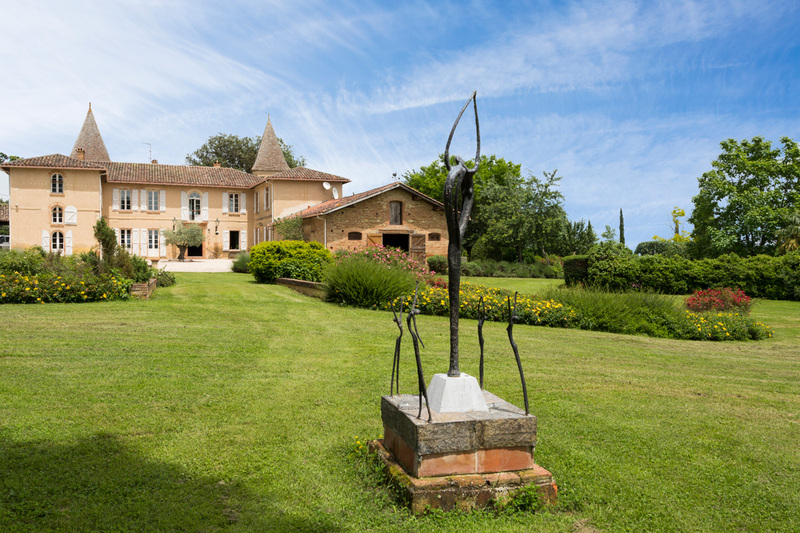 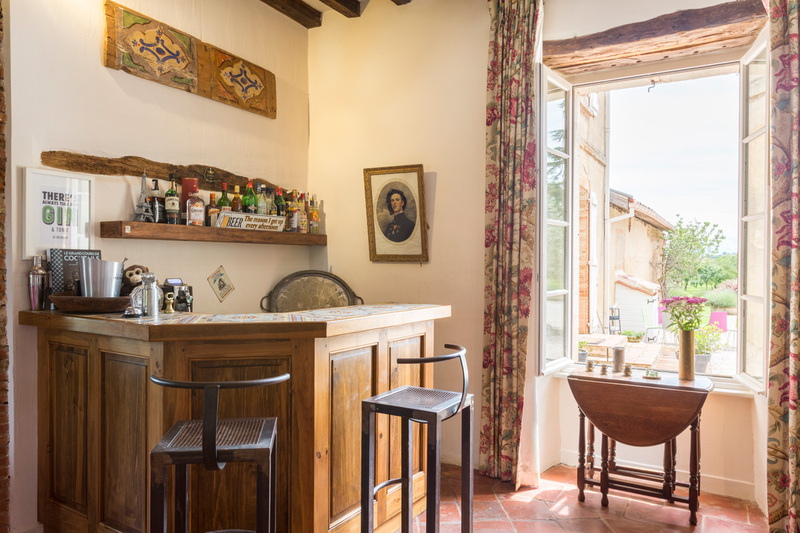 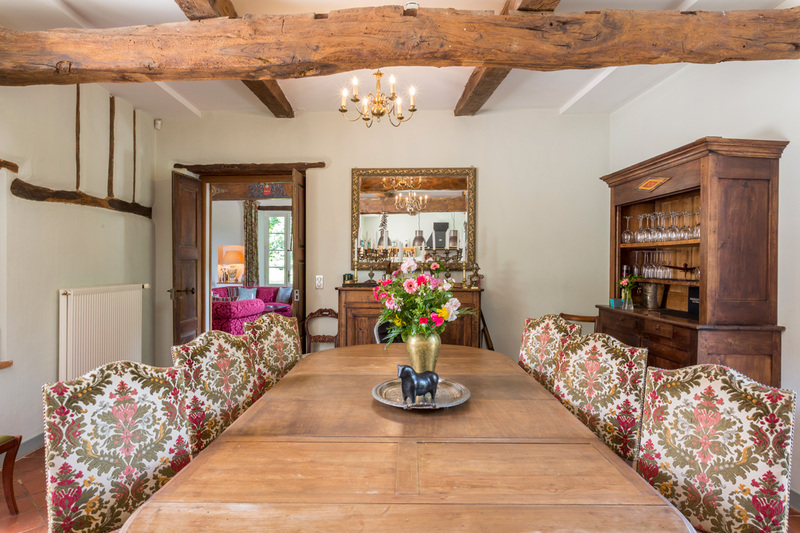 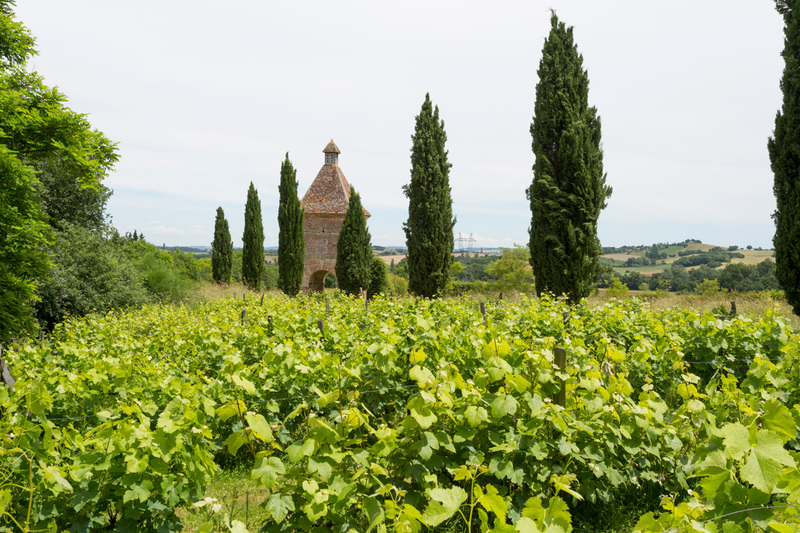 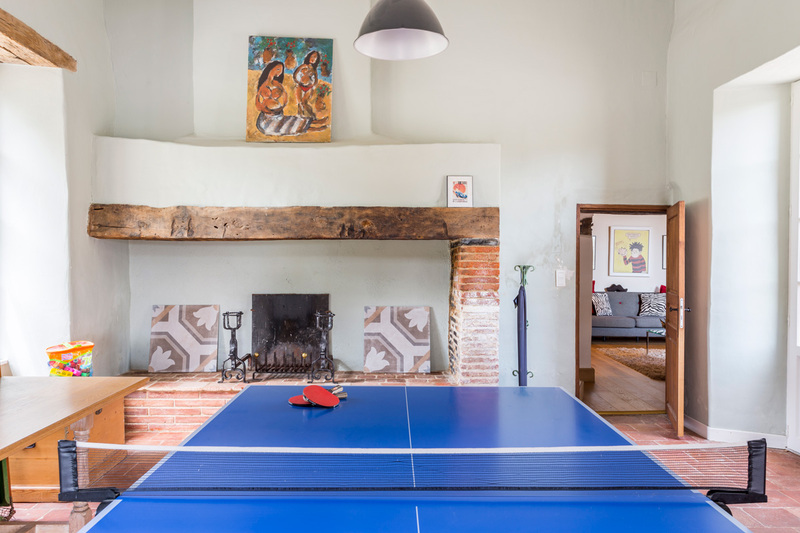 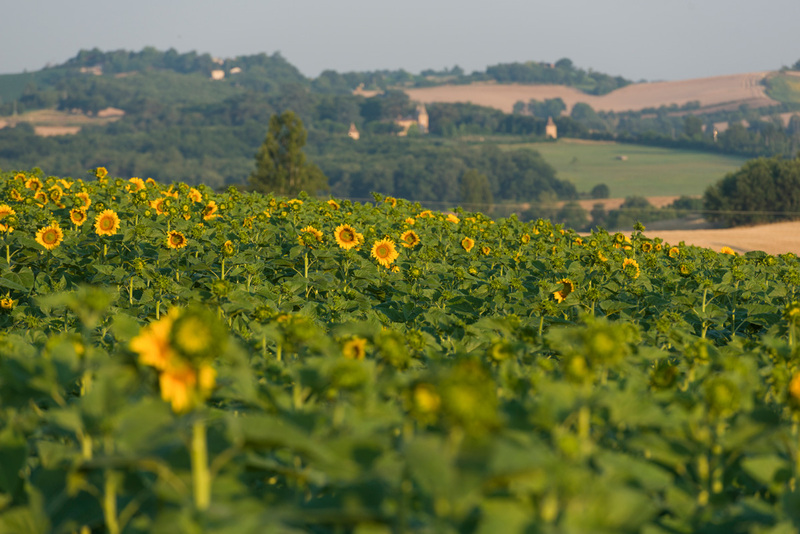 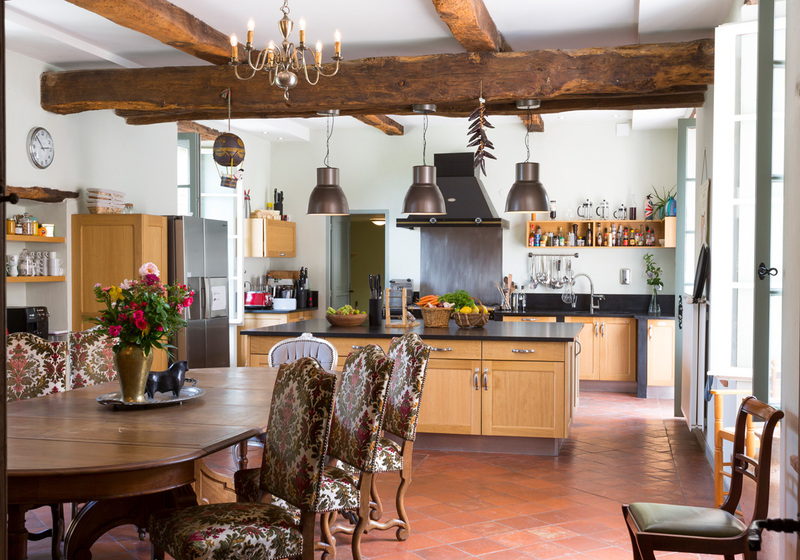 Nestled in the very heart of the Gascony, a truly authentic area in the South West of France, famous for its beautiful rural landscapes and fine cuisine. 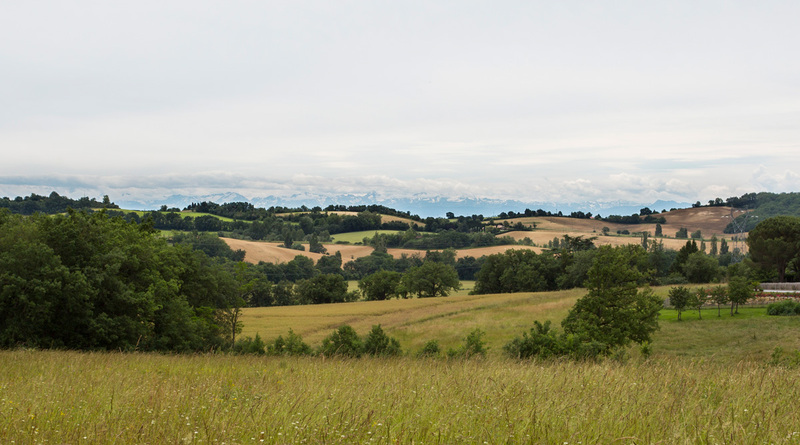 Its territory stretches from the departments of the Gers, the Landes and the Hautes Pyrénées. 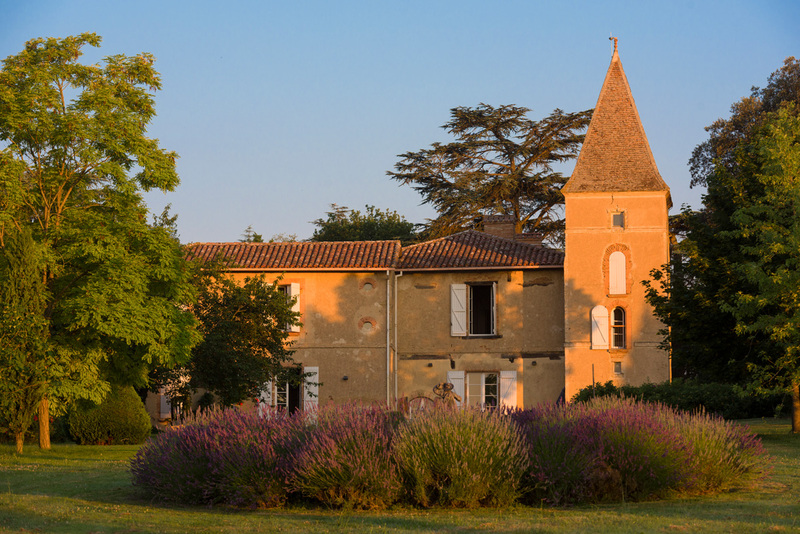 The Gers in particular is often referred to as the 'Tuscany of France': rolling hills dotted with gorgeous fortified villages and market towns. 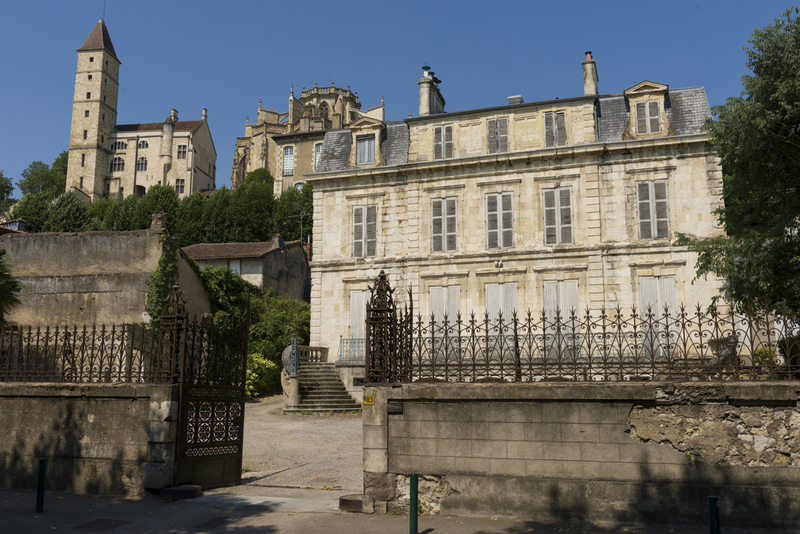 It is also the birthplace of the musketeers and it is said that D'Artagnan spent two nights in the castle! 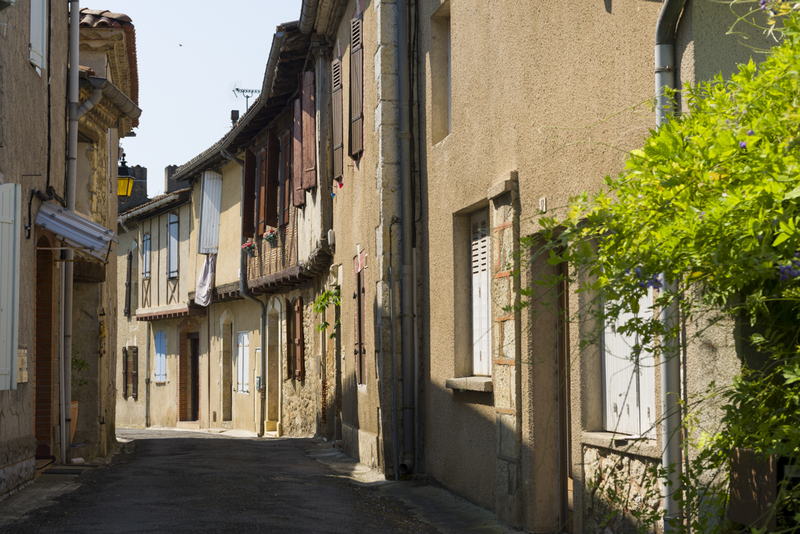 The local town of Samatan is renowned for its foie gras and for the very famous unmissable market that takes place every Monday morning. 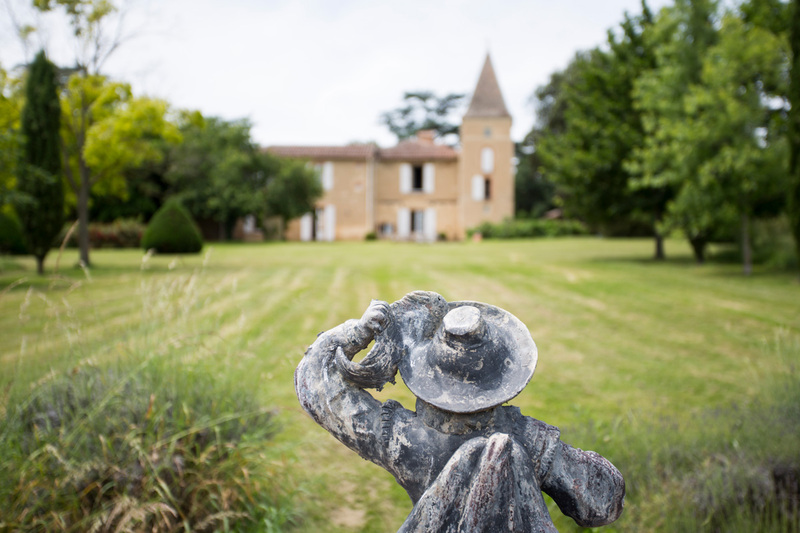 If you have a taste for Armagnac, there are plenty of opportunities to visit local producers and guided tours as well as tastings can be arranged. 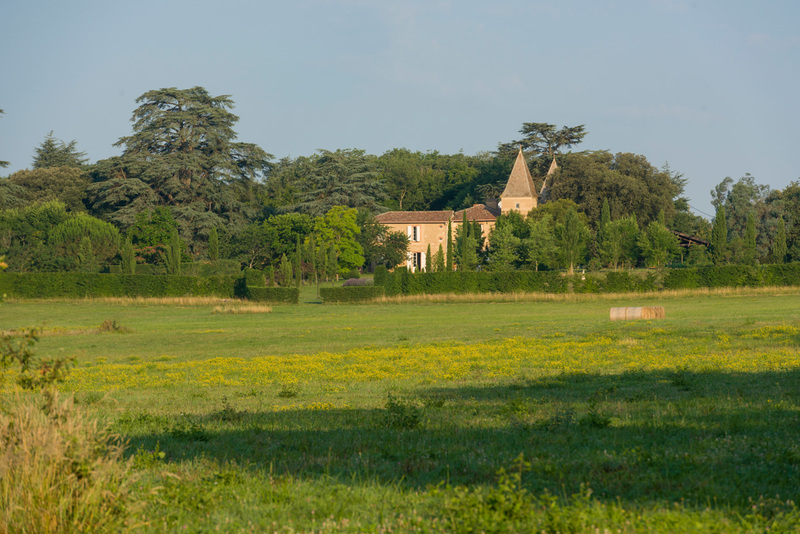 There is also an abundance of popular places to visit nearby: Auch, Sarrant and Carbonne are just a few examples. 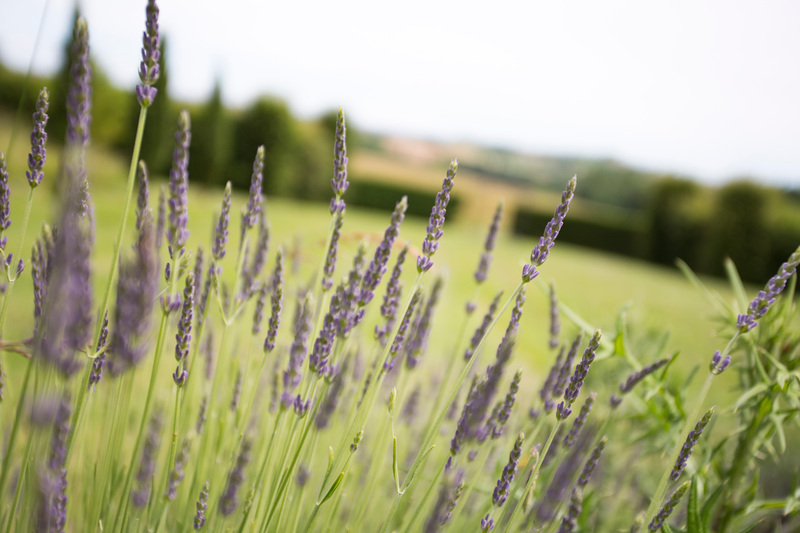 - Bee-keeping, clay-pigeon shooting, horse-riding, painting classes, piano lessons, hot-air ballooning and more. 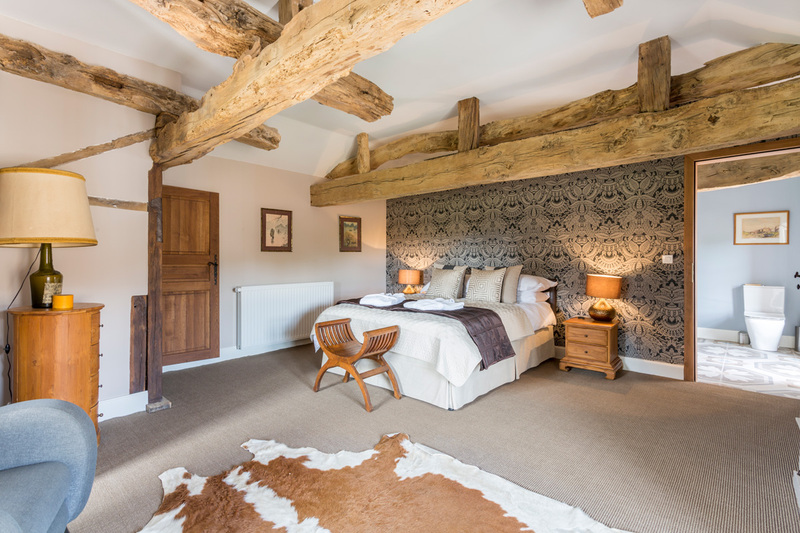 All extras must be paid directly to owner locally and are subject to availability and advance notice. 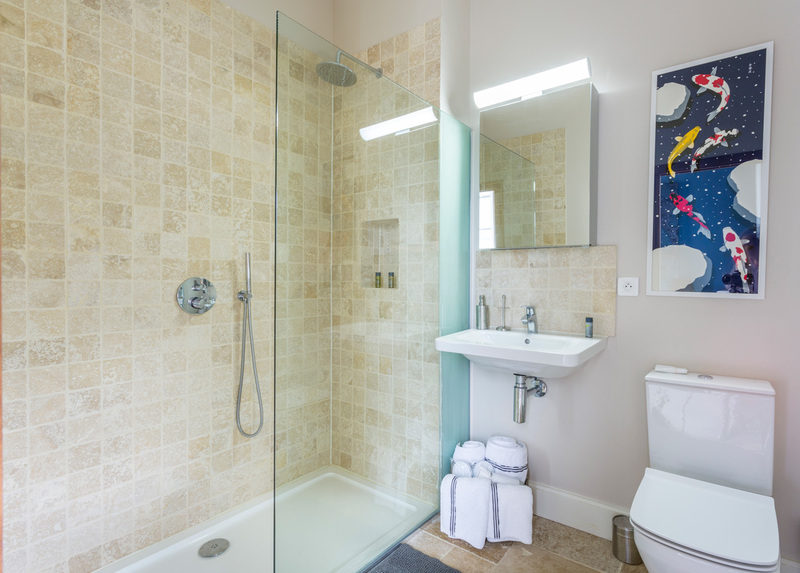 Please note that some services require more notice than others.